Former Arsenal midfielder has revealed how strange it was for him to make a return to the Emirates Stadium at a time when Arsene Wenger is no longer manager. The Czech Republic international who joined the Gunners from Borussia Dortmund in 2006 was one of those who took part in Saturday's game of legends with Real Madrid. 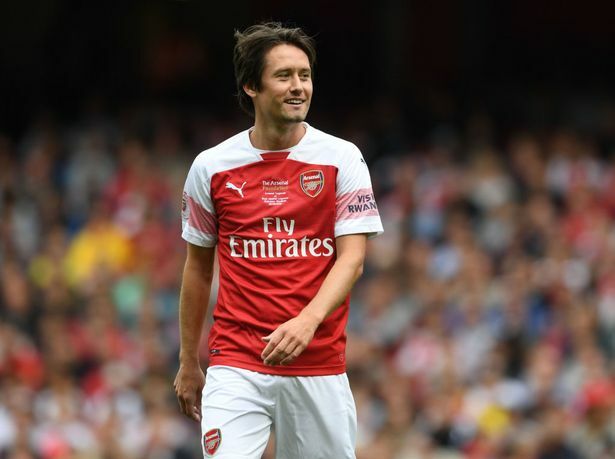 Speaking on the transition at Arsenal, Rosicky stated that there had been both positives and negatives under the new administration at Arsenal but called for patience. "Is it weird to come here without Arsene Wenger? It is a little bit, I have to say," said Rosicky, as reported by the Evening Standard . "He spent an unbelievable amount of time here and now has started something new for the whole club, a new era after Arsene Wenger. People have to be patient. "The club is having to adjust. That’s normal when you start after something remarkable like what Arsene did. It’s still early days, only four games. There are some positives, some negatives. We’ll see how it goes in the future. "He means a great deal, it’s impossible to avoid him here. Someone like me, who spent so much time with him, or the other guys here, we see him everywhere. "If you come here it’s not possible to not think about him."